​​Kevin Harlan is a man of the people. 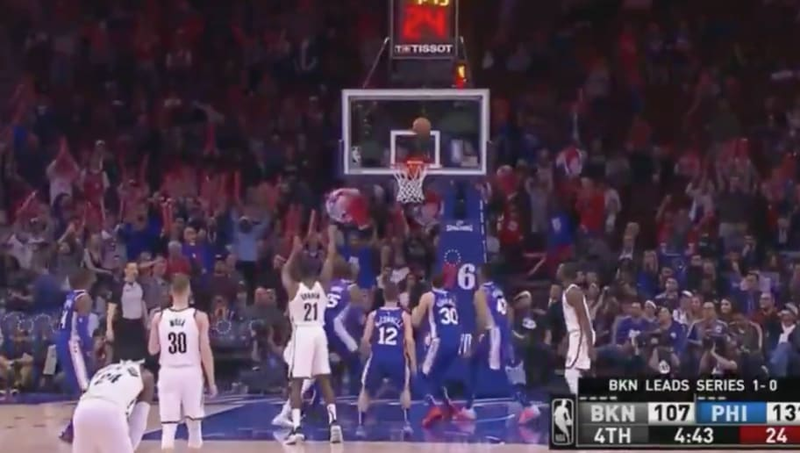 In the midst of the 76ers blowout Game 2 victory over the Brooklyn Nets to even the series, the fans at Wells Fargo Center had a chance to earn a free Frosty if the opposing team missed a free throw. With the game secured for Philly, Harlan needed something else to entertain himself, and he found it. A free Frosty for everyone! Does this include Harlan, however? Because he ought to get a lifetime supply for his work on this ad campaign. Need us remind you that earlier in the game he ​pitched the hell out of Wendy's Angry Whopper? The man just loves some fast food.